One of the first things to consider before making a purchase is whether or not you can try it out first. Well… this may not be a good idea if you’re at a restaurant and you keep sending your food back! But in terms of software it is one the best ways to know whether the solution you’re considering will meet your needs. This is a scenario where the saying, “If it seems too good to be true, it probably is” is fitting. That’s why I’ve put together a checklist that will enable you to get the most out of your software and to really ensure that you select the best Quality Management System (QMS) for your company. Flexibility: Flexibility is important to ensure that the system will fit your unique business needs. To be truly effective, the software should be flexible enough to be molded in such a way that it will be able to be adjusted to fit your exact business needs. With a truly flexible solution, users will be able to make the necessary changes to the solution on their own, with no IT department required. In many cases, the cost of changing your operations as a result of an inflexible software package outweighs the cost of the package itself. Careful and thoughtful attention to the software’s flexibility is key to a successful implementation. Best Practices: One of the leading decision-making factors when it comes to purchasing a software solution lies in the technology that it provides. This is important to ensure the success of your project, but also the common best practices for your industry. While this is important to ensure the success of the project, it is equally important that the solution follows common best practices for your industry. You want to look for a software solution that contains the right tools for your business and industry, such as employee training, corrective action and document control. In doing so, you’ll ensure that the solution meets your business needs out of the box. Look and Feel: Another aspect that plays an important role in selecting the software is whether you can adapt the system to your organization’s look and feel. This includes the ability for you to adapt the system to your colors, logos, your fonts, and essentially the general layout of the navigators, reports and forms. Many software systems will not extend the ability to configure to the layout itself, meaning you will have to adapt to the vendor’s look and feel. When looking to software systems, look for a solution that has a well-defined set of user interface requirements that will ensure the system works for you, and meets your requirements without the need for extensive development. Comfort with the look and feel also greatly increases user buy-in. Look for a solution that provides a configurable user interface (the presentation layer), so that the system can be modified to match your other Web-based systems, such as your website or intranet. End-User Adoption: In many cases, a company’s end users are not involved in the ultimate decision when it comes to which system to choose, this typically falls on management—even though the end users tend to be the more high volume users. The challenge here is that while the software system may have had the technology and process that management needed, once in place, the end users may be lost. This is because it doesn’t look familiar; it doesn’t look and feel the way they’re used to, and requires a lot of adjustment just to get used to. While this may not be a “deal breaker” it can certainly be a hindrance in the learning curve for your end users. So when looking into software systems you want to take into account your end users’ experience, to ensure that they can be productive from the start. Ultimately, there are many factors out there, and your goal is to get the most functionality with the most cost-effective result possible. Sometimes, trying new things can be a bit overwhelming. Follow these guidelines, and you will be on your way to selecting a system that has the functionality you want. If possible, try out the system beforehand so you’ll know whether the software is a good fit…before you commit. 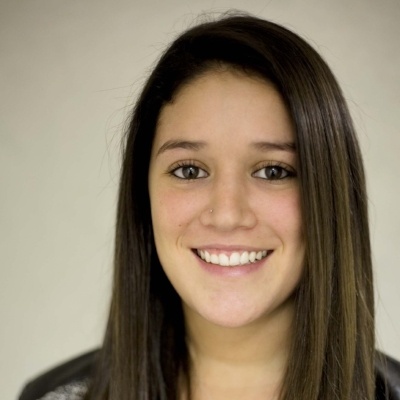 Emily Ysaguirre is the Content Marketing Coordinator at EtQ, Inc.